"Mystery Diseases and Me" by Ron Brunk is now out on Amazon in Kindle and Print formats. LEWISBURG, W.VA., November 12, 2013 Greenbrier Valley Theatre will serve as host for a grant workshop on Friday, November 15th at 2:00 p.m. at the theatre, located at 113 East Washington St. The West Virginia Division of Culture and History in collaboration with the West Virginia Commission on the Arts will conduct the free grant writing workshop. The arts staff will offer a grant writing overview with program deadlines, tips and timelines for success, and procedures to be used for an application. They also will discuss new initiatives and programs to support local arts projects, changes in current guidelines affecting fiscal year 2015 applicants, and how to plan for grant success. Arts administrators, arts educators, arts volunteers, artists and art patrons are invited to participate in these practical and informal sessions. Greenbrier Valley Theatre encourages all interested participants to take advantage of this opportunity to learn about potential funding opportunities for our community and to meet and talk with arts section staff. The grant writing workshops are the result of needs identified during the "Listening Tour" sessions conducted statewide by the arts staff. "With the help of local hosts, we can reach the most people and have more impact in each community. We appreciate these hosts for assisting with bringing this much-needed workshop to their communities," said Renee Margocee, director of arts for the Division. To pre-register or for more information about the grant writing workshops and the programs of the arts section and the West Virginia Commission on the Arts, contact Debbie Haught, community arts coordinator for the arts section, at (304) 558-0240, ext. 714 or e-mail her at debbie.r.haught@wv.gov. Shakespeare in the 'Burg is pleased to announce our inaugural one-act playwriting competition, in conjunction with our Shakespeare in the 'Burg theater festival scheduled for April 5-7, 2014, in Middleburg, VA. There are two categories of plays that will be judged: Plays written by students ages 12-17, and plays written by adults, ages 18 and over. Please note that you can write in any style you choose; this is not a "Shakespeare" writing competition, so plays in any genre are welcome. Scripts must be original, unpublished and unproduced. Musicals, monologues, adaptations, film scripts and television scripts are not eligible. Scripts may be performed in a workshop environment but may not have a public performance or play reading. The goal should be to produce a small to medium-sized cast, one-set show with running times of no less than 25 minutes and no more than one hour. All scripts must be typewritten. If sending a hard copy, please number the pages and use paper clips or staples to ensure your pages stay together. Send a duplicate copy, not your original. Send hard copies to Genie Ford, 36523 Mountville Road, Middleburg VA 20117. Name, address and telephone number of the author, along with the title of the play on a separate page. On all subsequent pages, only the title of the play should appear at the top of each numbered page. This will be a blind competition. Judges will not know the names of the authors while judging the plays. Cast of characters with descriptions and a brief synopsis should be included as part of the play. Scripts should be formatted in keeping with traditional playwriting manuscripts. Since these are one-act plays without scene changes, it is not as critical to include scene headings. However, feel free to include stage directions and an "at rise" description (what will happen as the lights come up or the curtain rises). Please put all stage directions in parentheses. Use 8-1/2 x11 paper if submitting a hard copy. Please number all pages in the upper right hand corner. Please include the title of the play in a header on every page. Margins should be one-inch, right and left, top and bottom. Please use ALL CAPS to identify the character speaking. If a character's speaking lines go over a page break, identify the character speaking with a second character tag on the new page—e.g., JOHN (cont'd). Double space after stage directions or dialogue and before a character tag. If formatting becomes confusing or difficult, then choose a format and stick to it. Consistency in formatting is the most important thing. Scripts will be judged on concept, dramatic action, characterization and dialogue. The decision of the judges is final. While we do not assume responsibility for the loss, damage or return of scripts, all reasonable care will be taken. If you want your script back, please include a self-addressed, stamped envelope and we will make every effort to return it to you. The deadline for entries is a postmark or email of December 15, 2013. A good website that can help you in writing your play is: http://www.ehow.com/how_2123970_write-one-act-play.html There are also lots of helpful sites all across the web to help you write your script, but always remain true to your own vision. Seek feedback from people you trust and remember, proofread your work! Glen Alton Poetry is a new annual event created to support Blue Ridge Workshop (@ Virginia Tech) and local Appalachian Poets and is sponsored by the United Writers of the Virginias. 2013 Poets @ Glen Alton Poetry Include Members of Appalachian Writers Association and West Virginia Writershttp://www.wvwriters.org/. Spectral Arts- Christiansburg, VA-Performs spontaneous lyric poetry layered with guitar and percussion. Thanks to everyone who entered the WV Writers 2013 Annual Writing Contest. The list of winners announced at our Annual Awards Banquet can be downloaded in PDF format from the following link WINNERS LIST 2013. KISS: Keep It Short and Shapely (essays) (COLLEEN ANDERSON) A good read-aloud essay combines the narrative flow of fiction, the brevity of lyric poetry, and the emotional power of song. Creating such an essay can employ the research skills of a journalist, the critical eye of an editor, and the performance techniques of a storyteller. This workshop will offer examples of successful short essays, suggestions for essay topics, and tips and techniques for revising your own essays. Chapter Books for Early Readers (COLLEEN ANDERSON) From picture book to chapter book—what an exciting leap for a child to make! In this workshop, Colleen Anderson will discuss why and how she wrote her award-winning children’s chapter book, Missing: Mrs. Cornblossom, and offer an introduction to the characteristics of this form that bridges the gap between picture books and books for middle-grade readers. The workshop will include a writing prompt to get you started on your own story for early readers. The Hocus-Pocus of Poetry Part I (LAURA TREACY BENTLEY) In this session we'll look at some magical/healing and cryptic/confusing poems by some of my favorite and least favorite poets. 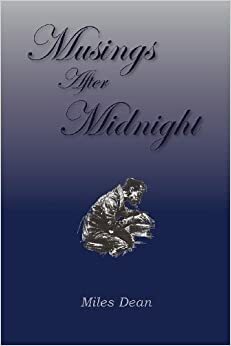 We'll discuss the arresting poetry of Laura Gilpin, Ted Kooser, Irene McKinney, Stephen Dunn, Sylvia Plath, George Bilgere, Jan Harrington, Wendell Berry, and Billy Collins, among others. I'll also read a few poems by nameless poets that I do not like and tell you why. I hope to simplify, demystify, and help you fall in love all over again with the power of poetry. Ideas and tips to help craft and create new work will be presented. We will shape a poem from a novel excerpt and draft a new poem. The importance of the opening line and the use of distance will be modeled. I believe like Ted Kooser that "Poetry is communication. Poetry's purpose is to reach other people and to touch their hearts." The Hocus-Pocus of Poetry Part II (LAURA TREACY BENTLEY) The magic transformative powers of poets and poetry will continue to be modeled and discussed. Three poems drawn at random that were created and refined by participants in Part I will be work-shopped. Everyone will participate and benefit from informal and non-threatening critiques. There will be time for questions and concerns in both sessions. How to Write One Song Everyday (TODD BURGE) (poetry) Burge will talk about how writers can get themselves to that “free space” where the pen flows without thinking. He will take one or two of his most requested tunes and discuss his creative process. All You Need is a Little Faith: Writing for the Inspirational/Christian Fiction Market (CHRIS FREEBURN) Writing for the inspirational and/or Christian market is more than just having your characters go to church and praying. Nowadays, there is also a distinction made between Inspirational and Christian novels which depend on how the faith element is included in your story (part of the plot and character development, or as part of characterization). In this workshop, we'll learn about the subtle (but important) difference between the two areas of this genre. We'll also explore how the faith element can be strengthened in your story and woven in a natural way that works for your voice and the story you want to tell. Writing for Magazines (C. HOPE CLARK) - If you want to write for magazines but don’t know how to start, or if you need motivation, Hope Clark helps you find your spark with a dose of confidence. Learn how to come up with a good idea, find markets interested in your idea, pitch to the right editors, define 'evergreen' topics, write a great query letter. Learn how writing for magazines can make for some of the steadiest income in writing. . . and be loads of fun. FundsforWriters Streams for Writers (C. HOPE CLARK) - All too often writers write with tunnel-vision, only focusing on one project, one book, one method of writing. Learn how to earn income from several directions, and how to better organize your writing journey so that it begins to earn an income. Managing the Business Side of Writing (CHRIS FREEBURN) Writing a book doesn't stop at writing the book ... especially if a writer is going the independent route. There is editing, marketing, more editing, designing the cover, book blurbs, managing your writing, personal, and promoting schedule ... and most important handling your finances. In this workshop, we'll explore different ways of handling these other areas of your business ... from hiring out, computer programs, apps ... to a mix that works best for you. It's easy to caught up in writing and ignore the rest -- or as some writers have discovered -- getting caught up in the rest and not having time to write. Improv Your Writing (STEVE GOFF) Employing the tools of comedy improvisation, attendees will discover how to utilize this freeing technique to enhance the writing process. You will learn how the skills of improv can help you to develop characters, generate authentic dialogue, and bust up writers' block. We will cover the basic "rules" of improv, and then through a series of fun exercises and improv games, geared specifically to writers, you will experience how an improv approach to writing can help you to explore character emotion, avoid stalled scenes, and, in a humorous piece, help you "get to the funny". Find out what happens when you get out of your own way and give your subconscious the freedom to make the connections that will drive your writing and energize your story. All writers will benefit from exposure to improv techniques, but it can be especially helpful if your interests include performance writing for the stage or screen. “Hey! You Write Funny” (STEVE GOFF) Comedy Writing - Techinques, tips and tricks to help you take advantage of your inner "funny" so you can add humor and insight to your writing. Using exercises from the Second City Training Center, participants will explore the basics of comedy sketch writing. Attendees will learn how to develop comic characters and how to put together a funny scene. Techniques for brainstorming and generating dialogue will also be employed. Regardless of what you write, this workshop can energize your writing and help jump start your creative process. Describing Sanctuary (CHRIS GREEN) (poetry) - This workshop will have participants dancing slant-ways through colors, lines, and rhymes into describing what, for them, is a sanctuary in Appalachia. Breaking Icons Open (CHRIS GREEN) (poetry) - This workshop will show writers techniques for animating the dead (words that is) and how to break the bones (of sentences) so one can smell (and paint with) their marrow. Prose Poetry/Flash Fiction and . . . (MARC HARSHMAN) In this session Marc Harshman will examine the historic development of prose poetry and flash fiction into the modern era. He will attempt some definitions, as well as share characteristic examples of this popular, yet elusive genre. In addition, participants will have the opportunity to write their own short prose works including a six-word memoir. Harshman will also provide a brief overview of bibliographic resources, as well as briefly survey magazines and journals open to such work. Get Home as Best You Can (MARC HARSHMAN) This will mark Mr. Harshman’s first reading at the West Virginia Writers conference since his appointment as the new Poet Laureate of West Virginia. Marc will present a reading of his poems drawing from each of his three previous chapbooks, as well as from more recent work. He will also reflect upon the rich legacies of Louise McNeill and Irene McKinney, the laureates who most immediately preceded him. There will follow time for question and answer. Writing Contests 101 (HEATHER ISAACS) Entering writing contests are a great way to get our names out into the writing world. These writing contests are for anthologies or magazines or for a certain website and everything in between. Some contests have very specific criteria and others may just have a word limit. A few questions to ask are…. Where do I find these writing contests? Do I pay to enter these contests? Which contests are legit? In this workshop we will discuss all these questions and any other concerns about writing contests we all may have. Social Media for Writers (HEATHER ISAACS) Social Media is now seen everywhere. It is used by friends, family, businesses, schools, and libraries just to name a few. Trying to keep up with it all can be tiresome and trying to figure out which social media outlet is best for you can be overwhelming. In this workshop we will discuss the social media world and which social media outlets are good starting points for you as a writer/author to promote yourself and your sweat, blood, and tears (your work). What’s Your Writing Personality? (JOLIE LEWIS) Flannery O’Connor rarely wrote more than two hours a day, facing the front of a wooden dresser. Truman Capote was famous for writing while lying down, typically drinking coffee or smoking. Maya Angelou keeps a hotel room, empty except for a Bible, a dictionary, a thesaurus and a bottle of sherry, and goes there every morning at 5:30. Graham Green is rumored to have watched cars until he saw the right combination on a license plate before going inside to write exactly 500 words. Pearl Buck, early in her career, wrote in fifteen-minute bursts anytime she got a break from mothering and running a house, and later devoted hours every morning to her work, producing a prolific 2,500 words a day. It is interesting to read about the habits of famous authors, but how on earth are we each supposed to find the routine that works for us? Should we follow a set schedule or wait for inspiration? Is there a certain time of day that is best for writing? Do we fly through early drafts or make sure to get every word right the first time around? Should we promote ourselves tirelessly or wait to be found? If you are someone who wonders about the answers to these questions, or wishes your habits were different, or has trouble getting into a routine at all, this may be a good session for you. Every personality type brings certain strengths and weaknesses to the writing process. In this workshop, presented by the Pearl S. Buck Birthplace Foundation, we will look to famous writers and each other for guidance as we explore how writing habits relate to personality. If we can learn to understand ourselves better, maybe we can also learn how to make the most of our time, our energy, our passion and our talent. Manuscript Critique Workshops (GEORGE LIES) This is a Manuscript Critique workshop for fiction and non-fiction that will demonstrate a unique 3 step approach that could be used by writers groups. This is open to registered conference attendees. If you send a manuscript, you will receive a 3-page handout describing the unique Manuscript Critique Process and a list of points for critiquing manuscripts. Breaking writer's block with spoken word. (JOE LIMER) (for beginners and closet poets). This workshop will emphasize the writing and creative process of crafting a free verse poem. New poets are welcome and encouraged. In this workshop, Joe Limer will introduce spoken word poetry. Students will engage in exercises designed to unlock the creativity and truth within them to produce the beginning of a poem that may be performed at the end of the convention. Transforming written works into performance. (JOE LIMER) This workshop could be a continuation of my first workshop. In this workshop, students will take a poetry piece and learn how to be comfortable expressing the poem onstage. There will be exercises in public speaking and recitation. How Picture Books Work and How You Might Write One (GEORGE ELLA LYON) (writing for children). We’ll look at the following: assumptions that get in the way of writing a picture book, the basic elements that define this unique genre, and exercises to get you started. Exploring Your Material for a YA Novel (GEORGE ELLA LYON) (writing for children). We'll look briefly at a couple of current and very successful YA novels, then do an exercise aimed at helping you begin to find your material and your voice. Character and Dialogue: The Light Bulb and the Light. (JOEY MADIA) (Intermediate/Advanced) This workshop gives participants new insights into the nuances of character construction and the importance of meaningful and well-crafted dialogue to the success of the play. Word choice and placement, right emphasis, sound and rhythm, and creating a character continuum to ensure balance and sufficient scope will all be considered. Every Novel is a Mystery, and the Devil IS in the Details (MARIE MANILLA) Regardless of genre, most novels contain elements of mystery to keep readers turning pages. From literal secrets, to the puzzle of why the protagonist is the way she is or how he wound up in such a predicament, authors must lead readers on a scavenger hunt for clues so they can solve the mystery for themselves. This workshop will focus on ways to layer in mysteries that will engage readers. We’ll also discuss the importance of adding those crucial—but selective—details that add authenticity to place, time, and characterization. Igniting Reader Complicity: The Importance of What’s Left Unsaid (MARIE MANILLA) Most readers enjoy stories that require them to peel back the layers themselves rather than having everything neatly spelled out. The story then becomes a collaboration between the author and the reader. Reader complicity relies on restraint on the author’s part and attention to detail on the reader’s. In this workshop we’ll look at how Breece Pancake insists upon reader complicity in his short story “A Room Forever.” We’ll also examine how he deftly packs his prose with rich layers, textures, and characters so that we can use those tools in our own fiction. Questions from a Writing Life – Q&A for Beginning and Intermediate Writers (LEE MAYNARD) - Lee will answer and discuss the most frequently asked questions by beginning to intermediate writers. He will also answer questions from those in attendance. Questions from a Writing Life – Q&A for Advanced Writers (LEE MAYNARD) - Lee will answer and discuss questions most frequently asked by advanced writers. He will also answer questions from those in attendance. Presentation of “The Un-Civil War: The Stories of the Civil War as Portrayed in the Literature of WV." 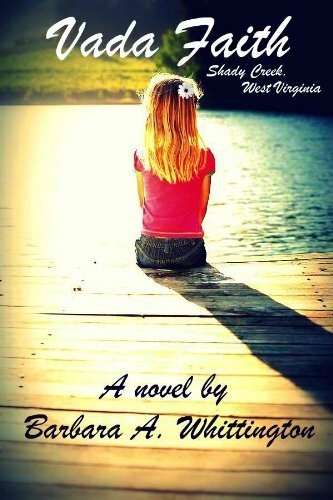 (20 minute presentation) (PHYLLIS WILSON MOORE) This presentation includes the work of selected West Virginian authors with family members on either or both sides of the conflict. Presentation of “West Virginia's African-American Literary Heritage: From Booker T. to HLG." (20 minute presentation) (PHYLLIS WILSON MOORE) West Virginia’s rich African-American Literary. Sketches and Maps: Writing Travel Articles (EDWINA “Eddy” PENDARVIS) - “To be a really interesting travel writer, you have to have some small obsession.” Good travel writing can make the most ordinary place exotic by offering a new perspective on it and by revealing intriguing corners and by-ways. Discussing two styles of travel writing, the “sketch” and the “map,” this session offers suggestions for using your “small obsessions” to discover the exotic in seemingly ordinary travel destinations. The publishing focus is on developing ideas for travel articles you might like to write and editors might like to publish—either “sketches,” which highlight intriguing features of a place, or “maps,” which offer more detailed guides for tourists. The Five Minute Memoir! – (CAT PLESKA) Really? Yes. Today, flash nonfiction is the buzzword, so you might as well try it, too. Take some particular memories (which Cat will help you locate) and compress them to write rich, engaging mini-memoirs, so appropriate for sending to literary magazines that are looking for short shorts (I used to wear those when I was a little girl! The short shorts, I mean). Come join me to learn concise writing about significant moments in your life. Mountain State Press Reception (CAT PLESKA) In celebration of its 35th anniversary, Mountain State Press will have a reception with light refreshments on Saturday afternoon. Cat Pleska will be there to answer your questions. The new brochure/catalog will be available as well as their latest publication by Belinda Anderson. “My Evil Plan is Working!” and Other Things Bad Guys Don’t Say: Creating Believable Villains that Readers Secretly Love and Love to Hate (SHEILA REDLING) (craft) - All good heroes need a great villain – especially in the genres of thriller, horror, mystery, and sci-fi/fantasy. So how do you get the most bang from your bad guy? We’ll discuss motivation, pacing, and paralleling, as well as the importance of believable side characters. Participants are encouraged to discuss their current works in progress and maybe even brainstorm a plotline or two. Finding Your Voice: What I Learned from Child of the Mountains (MARILYN SUE SHANK) - Voice is letting go of rules, preconceptions and expectations to discover meaning, not only for your characters, but for yourself. Also, voice is being as surprised by the words that flow from your fingers as your readers will one day be. How do you find your voice as a writer? In this workshop, Shank explains how she finds hers. Caught in the Middle: Who Are the Readers of Middle Grade Novels? (MARILYN SUE SHANK) - Children from ages 9 to 12 are beginning to individualize from their families and explore their identities. On the cusp of puberty, they experience emotions at a higher level than they probably will throughout life. This workshop explores this fascinating age and how to write novels to target their needs and interests. Participants will be given an opportunity for a quick write of a memory from this time of life. Why Doesn’t Anyone Want My Story? (Marlene Stringer, Agent) You’ve completed a manuscript and sent it out on submission, but had no interest. Why not? Why can’t you get anyone’s attention? This workshop will give writers insight into the reasons why their manuscripts are turned down by agents and editors, and how the decision-making process in traditional publishing works. Writers will learn to judge their work with more perception of what goes into the acquisition process, and hopefully up their game so that their manuscript makes it into the acquisition meeting! Introduction to Writing Graphic Narratives - Okay, Comic Books! – (ROBERT TINNELL) Beginning with rudimentary sequential art storytelling techniques, the session will progress to efforts at creating a three page story - albeit one with stick figures. Introduction to Screenwriting – (ROBERT TINNELL) A chance for writers interested in writing screenplays to gain an understanding of the form and format, industry expectations, and methods for starting a screenplay the right way. There will be a strong emphasis on analysis of existing adapted screenplays in an effort to underscore the building blocks of the three-act structure. Becoming a Better Screenwriter (ROBERT TINNELL) For those who have some understanding of screenwriting, this workshop aims to improve a variety of skills across the discipline. Dialogue, descriptions, and improving action text will all be covered as will discussion of the traps that await writers in the second act. This will be an interactive workshop - not just a lecture as students will be encouraged to participate in exercises intended to make their writing more specific, evocative and economic - three foundations of writing successful screenplays. Marketing To Your Target Audience (CHRISTINE WITTHON- LITERARY AGENT) Your publication date is set, so now what? When do you need to start marketing your book and to whom? Who is your target market? Who is your competition? Do you have a catchy brand or a hook you can use to market yourself? How can you make yourself stand out from your competition? Learn tips on how to sell your projects and yourself to your target audience. Learn tips on how to generate book buzz without breaking the bank. We will use real examples from the class, so be prepared to have some fun and learn something in the process. Western Writing—the Good, the Bad, and the Ugly (R.G. YOHO) This workshop will cover all aspects of Western writing, from prairie to the printed page. We will evaluate the markets, cover research, writing techniques, philosophy, and publishing. The class will be targeted for the beginner all the way up to the published author. In addition, a number of the elements of the Western to be presented will equally apply to all genres of writing and publishing.